A Bar Cart in Brooklyn: Let the Halloween Celebrations Begin! 4 Tips for a Pumpkin Carving Party aka the perfect activity for this Sunday afternoon. Or skip the mess and paint your pumpkins instead. Or try glitter & lace! 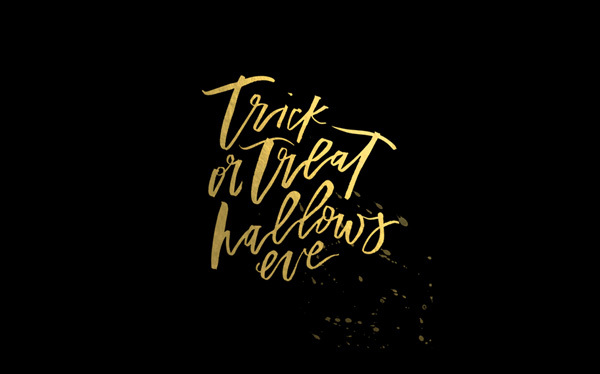 Speaking of grown-up Halloween parties, this Paperless Post invitation would be perfect for a last minute spooky soirée. Also see: my tips for a Halloween cocktail party and my recipes for sparkling blood orange punch & maple popcorn. Great ideas for chic Halloween decor. If I wouldn't just eat them all, this weekend I'd be baking these gingerbread skeleton cookies. Need more ideas? I have tons: my Trick or Treat board on Pinterest. Anti-Halloween? I won't judge. Try some fall shopping instead.